JOB REF: PREMIER OIL GUINEA-BISSAU JOB REFF/ B788/215523 CLIENT/EMPLOYER: PREMIER OIL GUINEA-BISSAU. Home > Marketplace > Marine Services > Worldwide > JOB REF: PREMIER OIL GUINEA-BISSAU JOB REFF/ B788/215523 CLIENT/EMPLOYER: PREMIER OIL GUINEA-BISSAU. 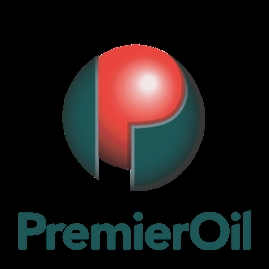 Premier Oil Company is a privately held exploration and production company that has successfully conducted petroleum operations for more than 80 years. Today, it is one of the world's leading independent energy companies, with operations in North America, South America, Europe and the Middle East. The company has drilled wells on every continent except Antarctica. Bissau, Guinea Bissau, 15 Feb – British oil company Premier restart oil exploration in Guinea Bissau, where it holds the concession of the for the Esperan?a and Sinapa fields, after last year having concluded the gathering of seismic information about the country’s offshore area. In Guinea exploration work this year is expected to include the Eirozes and Espinafre wells, in Premier’s concession area. Premier has the concession for offshore blocs 2 (Sinapa), 4A and 5A (Esperan?a), in the Casaman?a-Bissau sub-basin, which ahs a total area of 5,840 square kilometers, with depths of between 10 and 2,000 meters. The company also holds the concession of blocs 7B and 7C, where preliminary assessments have shown that “potential for discoveries is very large.